As subject matter experts with ACA compliance, reporting, and related topics, we often times are asked questions about the law by our readers, which include insurance brokers, CPAs, HR specialists, business executives, and, of course, clients. We’ve garnered quite a few Q&A documents over the last 12 months and we want to share four of these Q&As with you to help with your ACA compliance efforts. If this proves popular, we’ll be creating more of this type of posts. Q: What if an employee is covered on their spouse’s plan? Is the employer supposed to track where they get their insurance from? Is the employer still responsible for offering coverage? A: Under the ACA’s Employer Mandate, the Applicable Large Employer is obligated to offer full-time employees coverage. Presumably, if the employee already has coverage through a spousal plan, the employee would decline an offer from his or her employer. The Employer Mandate obligation is to make the offer to the employee, and not necessarily to enroll the employee. Of course, if the employee is in fact enrolled, the Applicable Large Employer will need to track that as well. The Employer Mandate does not require the employer to track where the employees have obtained coverage if outside of the employer. 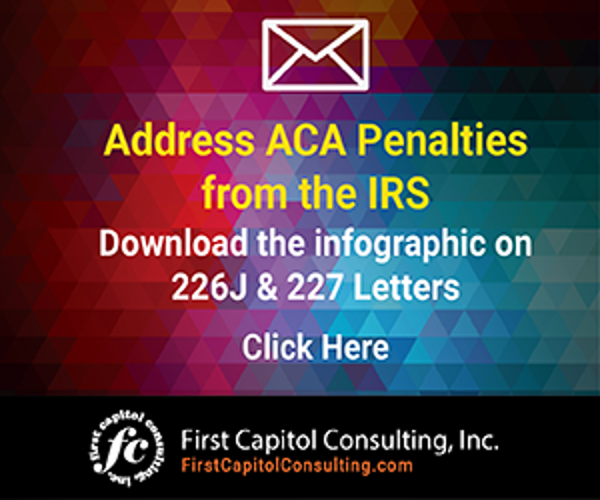 Q: What reporting years will the IRS issue Letter 226J penalty notices for? A: Currently the IRS is sending Letter 226Js to employers it believes did not comply with the ACA in 2015. We anticipate that the IRS will eventually send notices for the 2016 and 2017 tax years, perhaps by the end of 2018. In fact, we believe that the IRS will begin issuing Letter 226J penalty notices for the 2016 reporting year before the end of 2018. 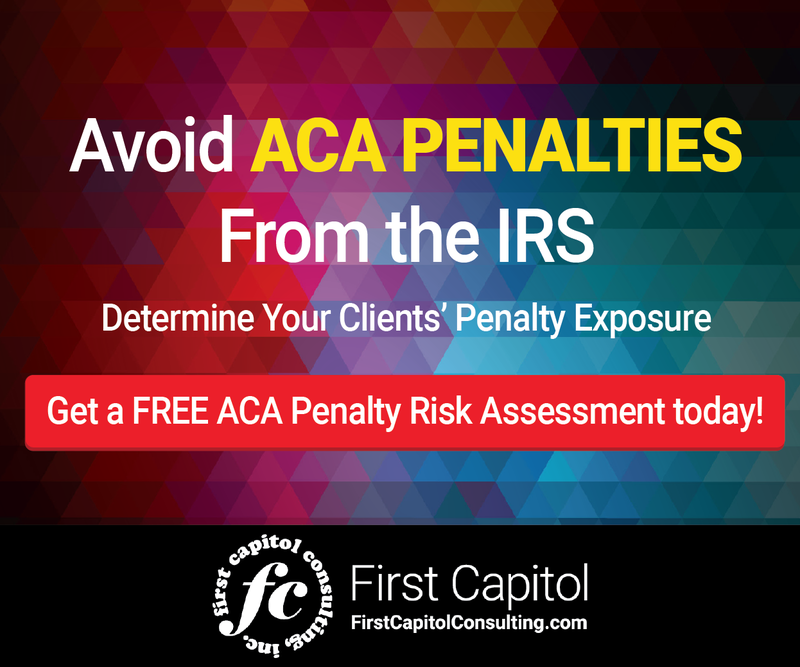 Q: Can an employer correct previous years ACA filings if they know they aren’t correct? A: Yes. If you are aware of errors, you should correct promptly. Error correction within a reasonable period of time from discovery is part of showing your good faith effort to the IRS in complying with the ACA. This is important to be eligible for good faith effort transition relief from penalties. Q: Are only full-time employees required to file 1095-Cs? A: The full-time employees do not in and of themselves file the 1095-Cs (or 1095-Bs). Rather, it is the Applicable Large Employer that is required to file and furnish 1095-Cs for each of their full-time employees. In addition, if the employer has self-insured coverage, the employer must report on all individuals who were enrolled on the self-insured health plan, including individuals who were not full-time employees, and non-employee individuals (e.g. spouses/dependents). The employer has the option to complete information about non-employee individuals using either Part III of the 1095-C or by using form 1095-B. You can read our new ACA FAQ feature online by clicking here. The ACA FAQ also available in PDF format by clicking here. Didn’t find your question answered? Feel free to submit your own by clicking here.